Soon after showcasing the face-lifted Mahindra Reva Verito at the Auto Expo 2014, Mahindra Reva, a part of the $16.2 billion Mahindra Group, said that they would commence export of the vehicle to Bhutan as early as September 2014. Exports to other nations such as Sri Lanka and Nepal would also follow soon. The Mahindra Verito Electric packs in a 72V Lithium-ion battery, which can be fully charged in 7 hours. Charging time can be further reduced with the use of a fast charger. 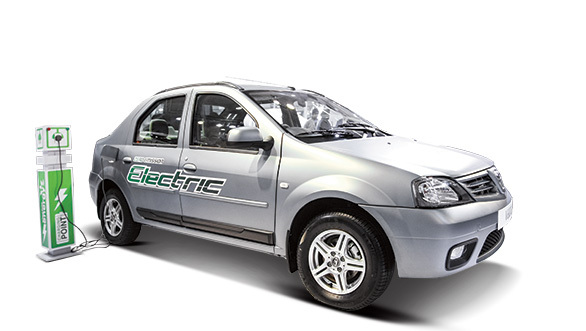 Mahindra claims that the electric Verito’s range is 80 kilometers with a top whack of 85 km/hour. The Verito electric is powered with a 29kW AC electric motor that is mated to a single speed gearbox, like the e2o’s transmission. 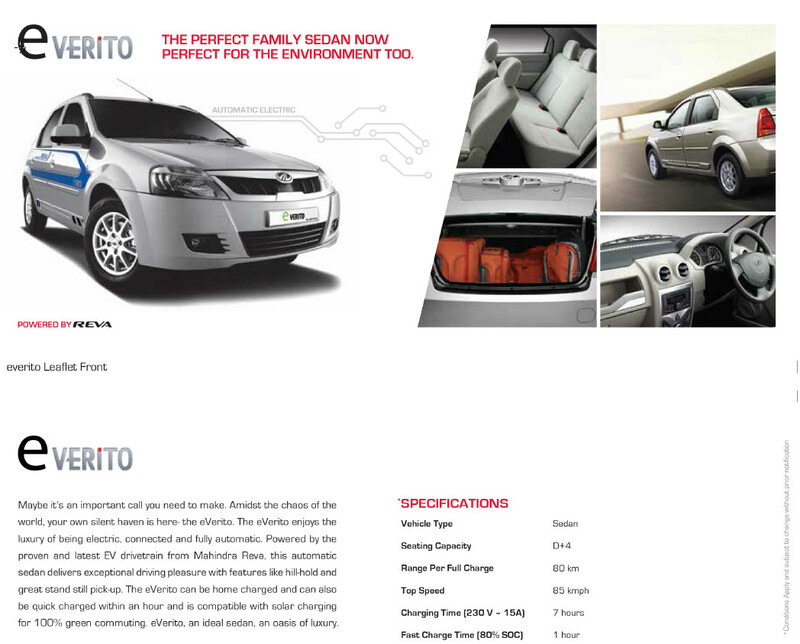 And hence similar to e2o, the Verito Electric also offers 4 driving modes- Drive, Reverse, Park and Boost. Mahindra Reva hopes that they would replace 5000 government owned taxis in Thimpu with their electric Verito within the next 3-4 years. This seems like good news, since they have managed to sell approx. 5000 cars since the launch of Reva in 2001. The Government of Bhutan has a very important role to play in this progress, as they plan to make the Himalayan country an electric hotspot, completely free of fossil fuels. Bhutan sees a major chunk of its population depend on taxis for their local commutes. While an average taxi driver would spend around 800 ngultrum (~Rs. 800.00) on fuel each day, excess and cheap hydro-electric power would reduce this expense to just ~ 10 ngultrum (~Rs. 10.00) per day. The savings in costs and emissions therefore are quite staggering, and many local as well as international companies are investing heavily in developing electric vehicles there. In our very own country, the Reva then and now the Mahindra e2o have been a topic of criticism because of their high initial costs. While many countries across the world have Governments providing subsidy on electric cars, in India this plan yet remains to be on paper. In January 2013, India announced the ambitious National Electric Mobility Mission Plan (NEMMP) under which New Delhi plans to spend Rs.14,000 crores to help create an electric vehicle ecosystem, which aims to have 6-7 million electric vehicles in the country by 2020. But the government is still to implement the plan. Lack of clarity of this Plan has led to Mahindra look first at other markets that already offer subsidy, and then plan their India approach once things fall favorably in place. The task ahead for Mahindra Reva does not look easy though, as Nissan and Tesla already have plans in place since 2013 to launch / produce their vehicles in Bhutan. However, there is a large scope for Mahindra Reva to launch their products to other international markets as well. Mahindra Reva also displayed its commanding prowess over the alternative fuel market by showcasing the Formula E Electric Race Car, an updated e20, the electric sports car Halo, and the first diesel hybrid vehicle in the form of the XUV5OO hybrid. The All New Mahindra XUV Facelift Launch Is On May 25. Propels With An Automatic Gearbox?